"What swings it for us is that on India's last trip to Australia, Kohli top scored in three first-innings out of four"
It is a bet which many would have noted down when the schedule for this series was announced: Virat Kohli to top score in the first innings for India on an absolute road at the Adelaide Oval (match preview here). The Indian captain averages 98.50 at the venue with three centuries. Less than a year into his Test career he took 116 off an experienced Australia attack as his colleagues floundered. Two years later, with world dominance getting closer, Kohli produced a masterclass in both innings, notching 115 and 141. Four years on it is unarguable that Kohli is the complete player. And anyone who watched the Twitter video of him crunching drives and cuts in the Adelaide nets can be left in no doubt he's in nick (he also tuned up with a half-century against a Cricket Australia XI). With that settled all that remains is his price. Is the 5/2 that Betfair Sportsbook offer value? On career form, the somewhat disappointing answer is no. He should be bigger at around the 13/5 mark. Over such a lengthy study period, it is hard to argue that he is a bet. But we think we've found an edge. It is true that Kohli is not the player he was seven years ago. He is better and it is no exaggeration to say he is the best in the world. Far wiser to judge him on a recent record instead of one when he was still finding his way? Likewise it is important to disregard runs scored in India. Techniques will be tested to the hilt away from home. Filtering India's top first-innings runscorers on the road in the last five years sees Kohli dominate. He has top scored nine times (31 innings), more than twice as many as his team-mates. That means the 5/2 is fair. Those odds give him a 28.6 per cent chance with his away record coming in at 29.03. Only Chet Pujara (four) and Shikhar Dhawan (four) come close. And that's important. Although Kohli is the right price, the likes of Pujara is not right either at bigger margins (7/2 with Sportsbook). Dhawan, crucially, is not in the squad. The likes of Rohit Sharama, who is 9/2, has managed one top-score in the study, KL Rahul (4/1) has three, Murali Vijay two (5/1) and Ajinkya Rahane one (6/1). What swings it for us is that on India's last trip to Australia, Kohli top scored in three first-innings out of four. Perversely, Kohli is not quite right for top India runscorer overall in the series but, again, you could make the case that his team-mates are, statistically, far worse value. Kohli is evens for a half-century in the first-innings. That's way off. He's landing the salute 37% of the time away from home. The 5/2 he scores a century in the first dig looks poor value but it isn't. His conversion rate away is through the roof and there's a couple of percentage ticks in our favour. Peter Handscomb is one of our favourite Test players. Why? Because we don't think his technique is anywhere near good enough to score runs at the top level. 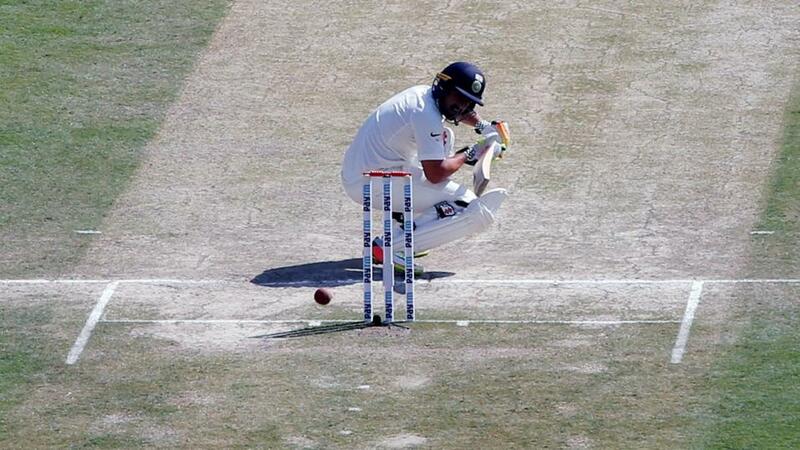 He is awkward at the crease, gets himself in a tangle and his arms and legs whir as if he's caught in a blender. It makes him hugely vulnerable against seam and swing. At Adelaide last year against England his 42-ball 12 in the second innings was excruciating to watch. It was one of the worst Test innings you're likely to see from a top-order player. Imagine the delight, then, when Sportsbook priced up his performance quote (1pt per run, 10 per catch. Imagine the horror when it was shown to be a buyer's market. Sportsbook go 5/6 over/under 75.5. His average make-up overs his career is 80 and at home it's 90. Kohli, by the way, gets a 112.5 quote. His average make-up on the road is 90.